Nepal has unlimited places for the wilderness adventure and Himalayan trekking. 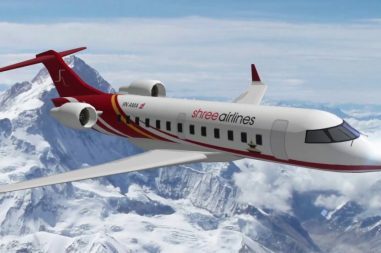 Apart from the popular destinations like Everest, Annapurna, Langtang, and Manaslu, there are other places worth to give a visit. 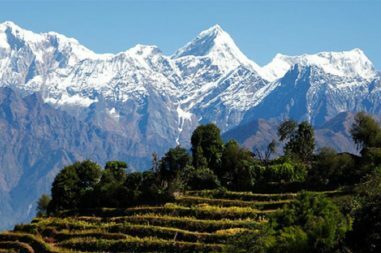 Dhaulagiri Trek is one of the most adorable off the beaten trekking destination. Bharal Adventure takes you to this diversified trekking trail to witness the wonders of the region. The journey begins with the bus drive to the small town of the Mygdi district of Nepal. It’s located in the bank of Kaligandaki River. The journey passes by the suspension bridges and the terraced farmlands. The scenes will be amazing for your eyes to capture because you will head towards Dharapani passing by Babiyachaur. So, the villages and the temperate forests will give you mystical experience. However, If the season is of the rhododendron blooming then entire surrounding will seem like a fairyland’s garden. 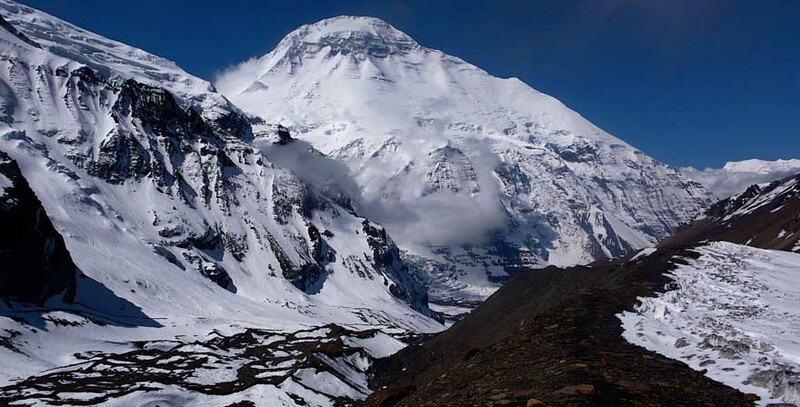 Dhaulagiri trek is full of amazing adventure as you will experience the adventurous glacier camp and French col. These places are very tricky and at times you might need the rope for the trekking. The Italian camp will give you the feeling of living inside a jungle. Once you have reached the Dhaulagiri Base Camp than the journey returns back using the different route. In addition, in a single trip you will witness different attractions also landscape as we take the different route. The beautiful hidden valley and the Yak Kharka are two best places to understand. The clustered yet beautiful village of Marpha which is on the way to Upper Mustang or the Jomsom Muktinath will lure you. You can try the famous Marpha Apple Brandy in this village. Once you have reached the Tatopani the natural hot water springs will give much needed boost to your mind as well as body. The bus drive from Tatopani will take you back to Pokhara. Book this astounding beautiful Dhaulagiri Trek in Nepal. Finally, Feel the nature and enjoy the breathtaking scenes of several touristic attractions in single trip. Therefore, Bharal Adventure promises the best hospitality and services. Day 20:Transfer to airport for your departure! A representative from Bharal Adventure will greet and accompany the guest from the airport to their hotel. The guests are briefly explained about the program they will be participating on. A representative from Bharal Adventure will take the guests to the airport approximately three hours before their scheduled flight. Safe drinking water, boiled/iodine tablets.